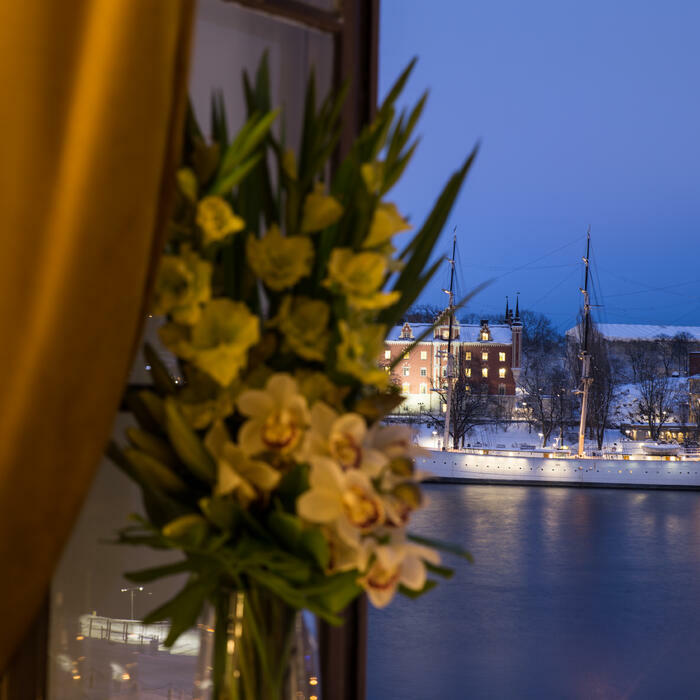 The Premium Sea View rooms of Hotel Gamla Stan are generally larger than 20 sqm in size and are fully carpeted. 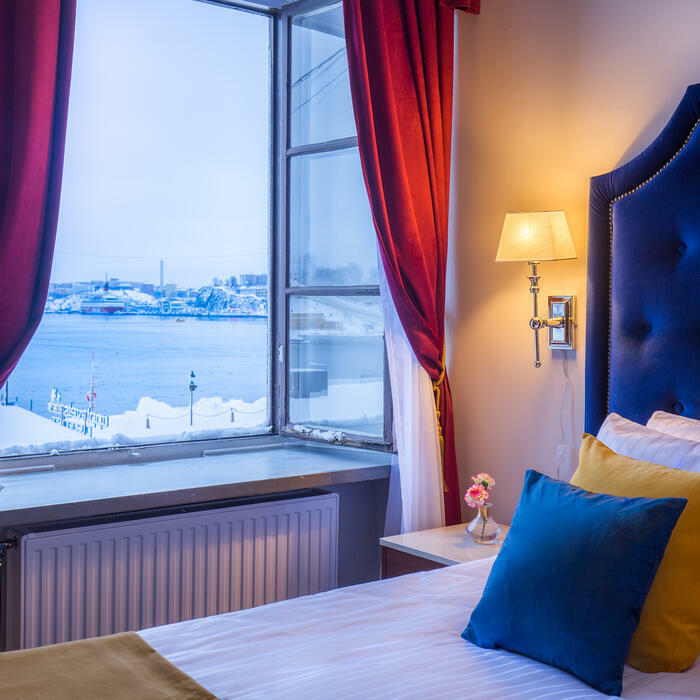 The Premium Sea View rooms of Hotel Gamla Stan are generally larger than 20 sqm in size and are fully carpeted. 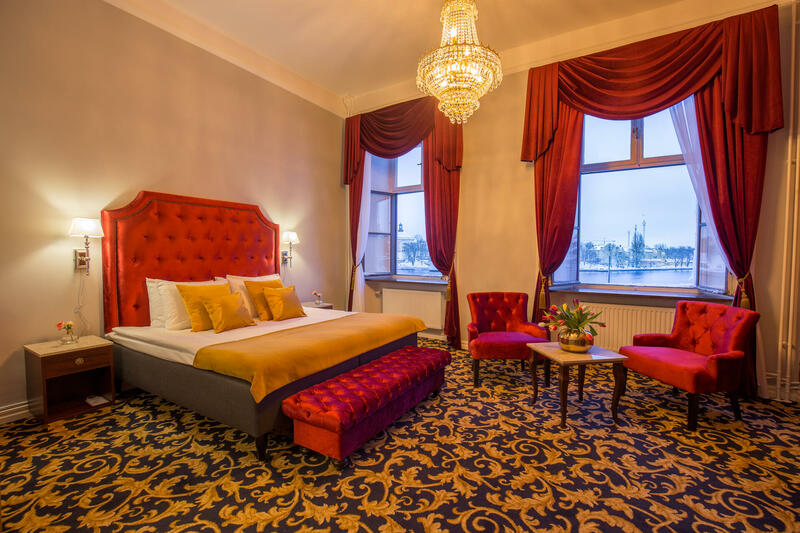 The furniture has been specially designed for the hotel in exclusive fabrics and the walls are done with luxurious wallpapers. 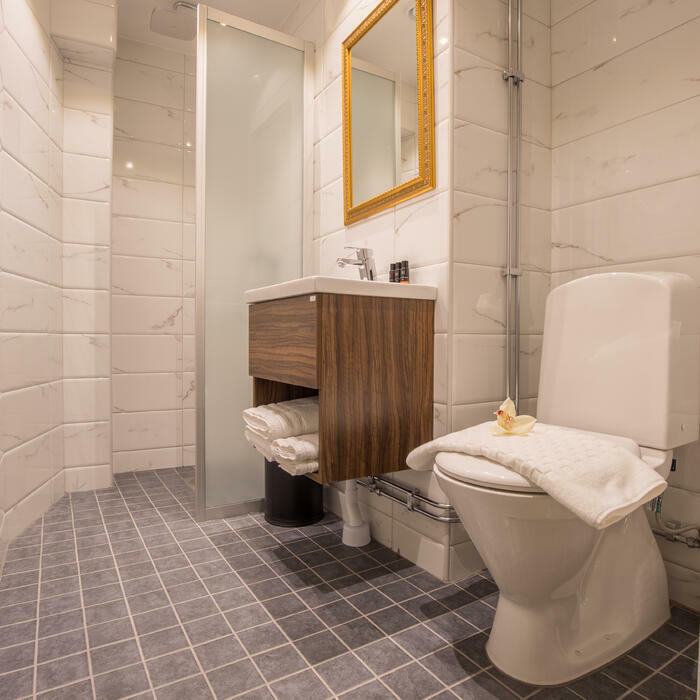 All rooms have ensuite bathrooms and a view of the waterfront , 43” LED IPTV with 15 channels, hot water kettle for tea and coffee. 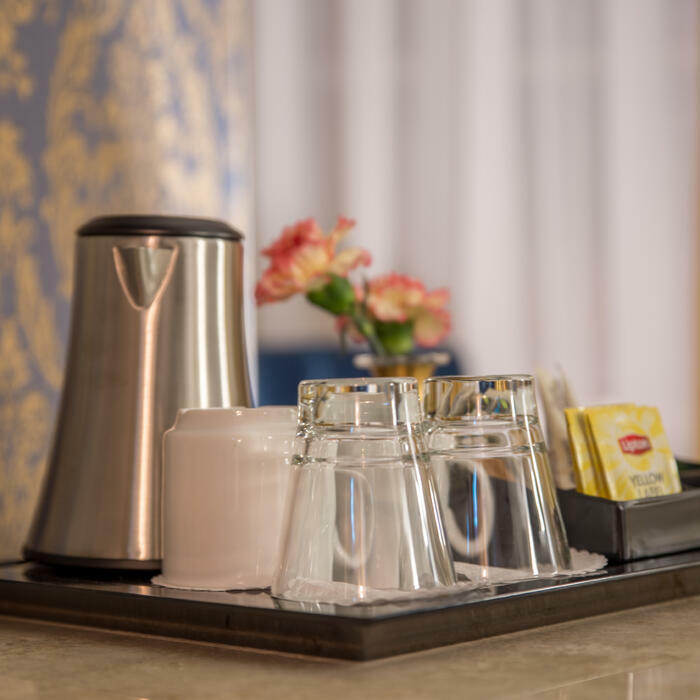 Some rooms even have a combination of sideboard, divan, armchairs, coffee table, wardrobe, writing desk and desk chairs.